Avinash Singh has been a Physiotherapist since 2011. He grew up in Bombay, India and lived in Peterborough for the first few years before settling in Hamilton since 2014. In his short, young millennial career, he has worn quite a few hats ranging from working as a Physiotherapist to a Clinic manager in a corporate setting to currently co-owning and managing Clinical practices in the Hamilton and Burlington region. Throughout his professional and entrepreneurial journey, he has taken many additional continuing education courses including a Diploma in Advanced Manual Therapy, Hand Splinting, Certification in Temporomandibular Joint (Jaw) Dysfunction, Acupuncture, Active Soft Tissue Release and many more. He has a strong passion towards teaching and he has helped to shape the career path of more than 600+ new Physiotherapy graduates across Ontario by conducting and coordinating Physiotherapy Competency Examination OSCEs, mentoring and tutoring various academic sessions to help students achieve and live their dream. He says it gives him a lot of joy and satisfaction to be a part of their success stories. He has been an invigilating examiner for McMaster University’s Mock OSCEs for the Physiotherapy Program as well. Avinash is also a Toastmaster member for many years and attributes his public speaking and leadership qualities to this group and the community. He places a high value on giving back to the community, inspiring people, and making a difference in people’s lives. This is what drives him to work every day. He also believes that his patients should have “the most awesome treatment experience” on their road to recovery, and that is what separates him from the cloud and remains his success mantra. He has infused the entire team at Hamilton Physio & Rehab with this same culture. When he is not treating patients or taking on big projects, he is a Cricket fanatic and loves watching and playing almost every sport. He has come to terms with the fact that he is not athletic enough to make any professional team, but his love of sports is what drives him to get all his athletic patient population to reach their ultimate pinnacle. 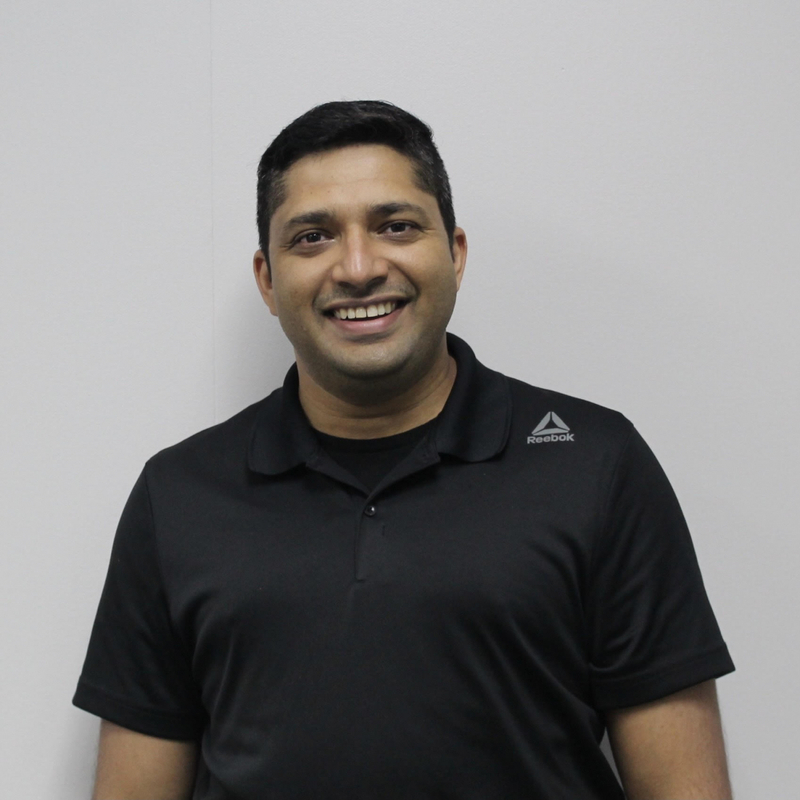 Anand Patel has a Bachelor of Physiotherapy and completed his post graduate diploma in exercise science and lifestyle management from Humber College. He has special certification as well in acupuncture and worked as a personal trainer in the past. His focus now is on musculoskeletal injuries. Drawn to physiotherapy because he has a passion to help patients get back to optimal health and enjoy their life to the fullest potential, he enjoys working out, reading and travelling when he is not working. Jenny achieved her Bachelors of Physiotherapy degree in May of 2011 and has been practicing in variety of different settings since past six years. She is a member in good standing with the College of Physiotherapists of Ontario, the Canadian Physiotherapist Association and the Canadian Society of Hand Therapists. She has acquired a number of specialized certifications, including: Shift Concussion Management, Active Soft Tissue Release, Introduction to Acupuncture and Dry Needling, and the Baltimore Hand Therapy Review Course form the American Society of Hand Therapy. She has special interest and expertise in Concussion Management and Musculoskeletal Injuries. She is currently working on certification in Acupuncture, Level I and II. She acquired experience working in private practice orthopedic clinics and long term care facilities. Jenny says she went into Physiotherapy as a career because the process of helping people restore normal movement and get them back to their optimal function gives her the most satisfaction about her profession. When she is not working, she enjoys working out, running and badminton. She also claims herself to be a big foodie. 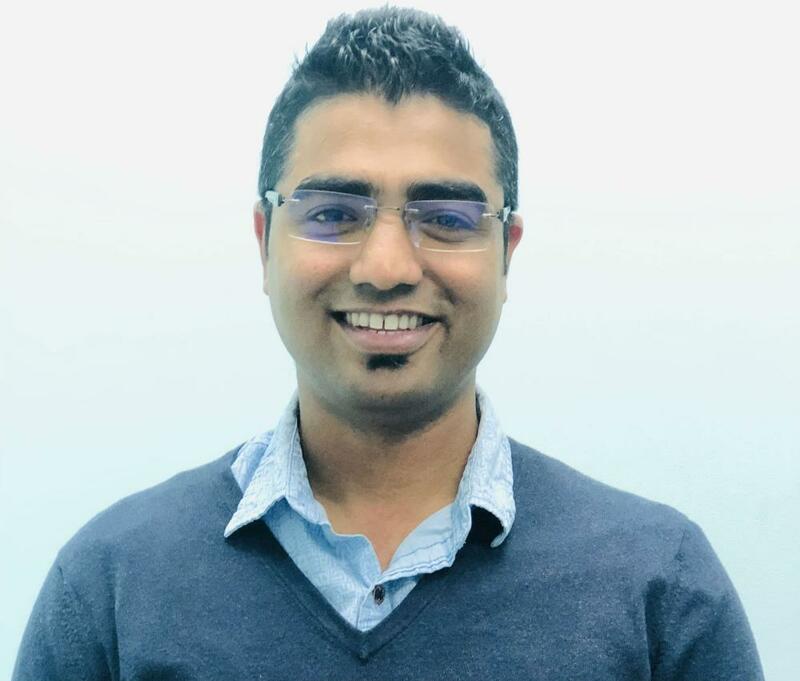 Nishanth obtained a Bachelors degree in Physiotherapy from in 2009, and has a specialty Masters degree in Musculoskeletal Disorders and Sports Injuries in 2011. He practiced at Co-operative Institute Of health Science, Thalassery until 2015 and ran his own private practice gaining vast experience in Orthopaedic and Neurological rehabilitation. During the same period, he was a Clinical Instructor and a Professor at CIHS Thalassery for Physiotherapy Students for four years.which he thoroughly enjoyed. He has advanced training in Hands on manual therapy and has been an Instructor of the same and has taught many young new Physiotherapy students. 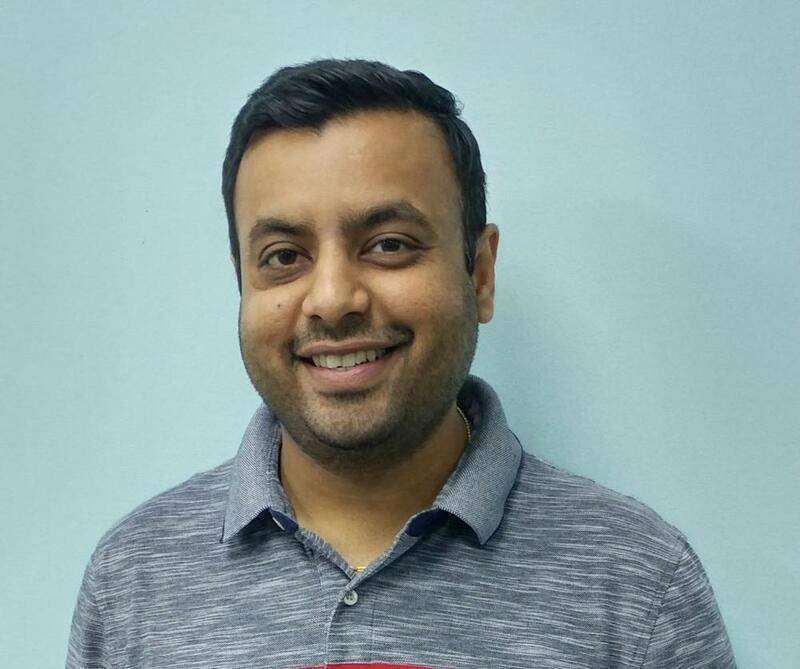 He immigrated to Canada in 2015 and has become a Registered Physiotherapist in 2018. He has practiced as a Physiotherapist in in varying clinic settings ranging from Orthopedic, Sports injury clinics to long term care. His expertise lies in Hands on Manual therapy, Myofascial release, Active Release Treatment (ART), Orthopaedic rehabilitation, Work related injuries, Functional assessment, Motor vehicle accident/ Concussion management and Vestibular Rehabilitation. He has an immense hunger to continuing to learn and evolve each day. He looks forward to taking many courses of his interest in 2019 to further expand his skills. When he is not working, he enjoys spending time with family and friends and staying active. Alka is a Registered Massage Therapist and hold a Massage Therapy Diploma (2016). She has over 20 years of experience treating patients with different conditions as a Physiotherapist in India and 3years of experience as a physiotherapy assistant in Canada. Alka is experienced with performing swedish, non-swedish and advanced techniques to manipulate soft tissues and joints in order to improve the physical health and emotional well being of her clients. Alka is comfortable with treating patients from all age groups from children to seniors and at any stage from acute to chronic. She is committed to upholding the highest professional standard with high quality and satisfactory service. She is interested in increasing her skills and knowledge in areas such as infant massage, pregnancy massage, TMJ massage, sports therapy, acupuncture and reflexology. When not working , Alka likes to cook and be outdoors. Muna is an Ontario-registered occupational therapist. She is driven by a passion for helping clients achieve independence in their activities of daily living and improve their quality of life. Muna holds a Bachelor’s degree in Occupational Therapy from the Jordan University of Science and Technology and a Master’s degree in Clinical Neuroscience from King’s College, London, UK. She received her professional training in various areas of occupational therapy including neurorehabilitation, mental health, geriatric rehabilitation, pediatric rehabilitation and hand therapy. As part of her continuing professional education, she has completed several courses to support her practice, including courses in hand splinting, wound care and seating and mobility systems. She also works as a community occupational therapist, visiting clients to assess their home environment and to prescribe home adaptations and modifications specifically tailored to her clients’ needs. In her spare time, she enjoys spending quality time with her family. 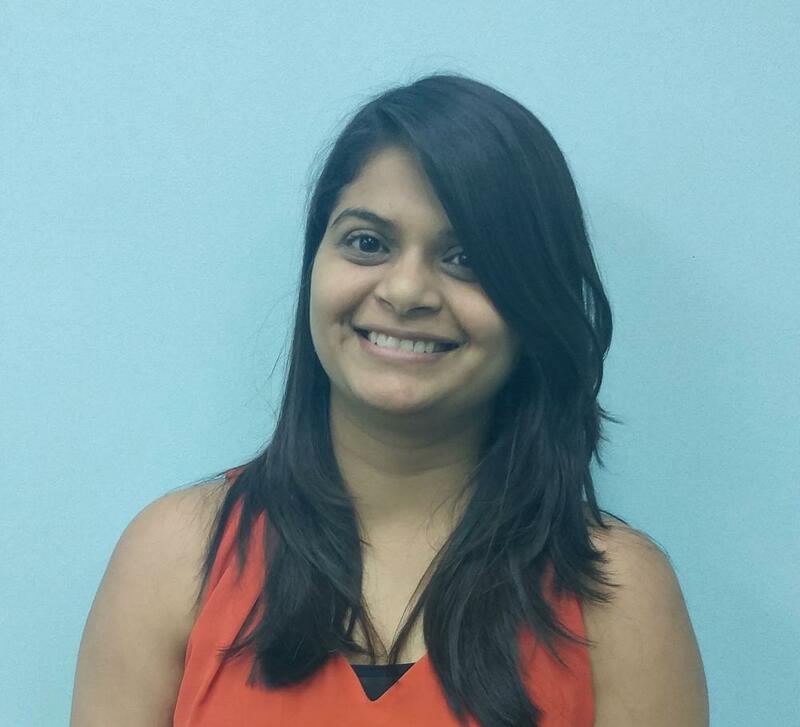 Palak Acharya joined Hamilton Physio & Rehab in 2017 after achieving a Bachelor of Physiotherapy degree from Srinivas College of Physiotherapy and Research Centre. She achieved her studies in health, wellness and fitness from Mohawk College, Fennel campus. Palak has a certification in Delf A1 (French language basic level A1) and is currently in the process of obtaining her physiotherapy license. Throughout the course of her studies she gained practical experience in a physiotherapy clinic. When she is not working she enjoys spending quality time with friends and family, watching some television shows, cooking and sometimes watching the sunset. David Brechin, graduated from McMaster University with a Honours Bachelors of Science in Kinesiology (May 2018). Certified in First Aid (HCP), Basic American Sign Language (ASL) as well as BoneFit certified. While volunteering for Hamilton Physio and Rehab, David enjoys being able to help individuals increase their quality of life, and to visually see the rehabilitation progress. David became a physiotherapy assistant to not only help to the best of his ability, but to also put a smile on people’s faces. On his spare time, David takes an interest in astronomy, volunteering and reading. David takes great pride in always trying to commit himself to learning and progressing his skills. Natalie Chan, a physiotherapy assistant at Hamilton Physio and Rehab, is also a fourth year student majoring in Kinesiology at McMaster University, minoring in Psychology. She also has certifications in Standard First Aid and CPR-C. She joined our team in May of 2017. She says she enjoys her continuing studies because she loves to study the human body and understand the intricate way the body moves. She also wants to work in a field where she is able to help people, both physically and mentally. In her spare time, she volunteers at McMaster’s PACE, a space of rehabilitation for people with spinal cord injuries. She also likes to do puzzles and board games with a few friends. Most importantly, she loves to enjoy great meals on her days off. Patrice Aldave, patient coordinator, graduated from McMaster University with a degree in Justice, Political Philosophy, and Law. Her strong interest in community care as well as exercise science and fitness makes a perfect fit for working at Hamilton Physio and Rehab. In the summer she enjoys hiking, kayaking, and spending as much time as possible outdoors. During her spare time she enjoys working out, cooking, and tending to her plants. Rutvi grew up in Ahmedabad, India and moved to Canada in 2011. Rutvi graduated with a degree of Business Accounting in 2017 from Humber Institute of Technology and Science, North York Campus. Rutvi’s previous endeavours in Accounting and Customer service industry saw her managing, accounting, scheduling and perfecting relationships with clients making it feel like an ideal transition with patient care. In her spare time, she loves baking and reading books. Besides that, she also likes to visit different food places around the area.